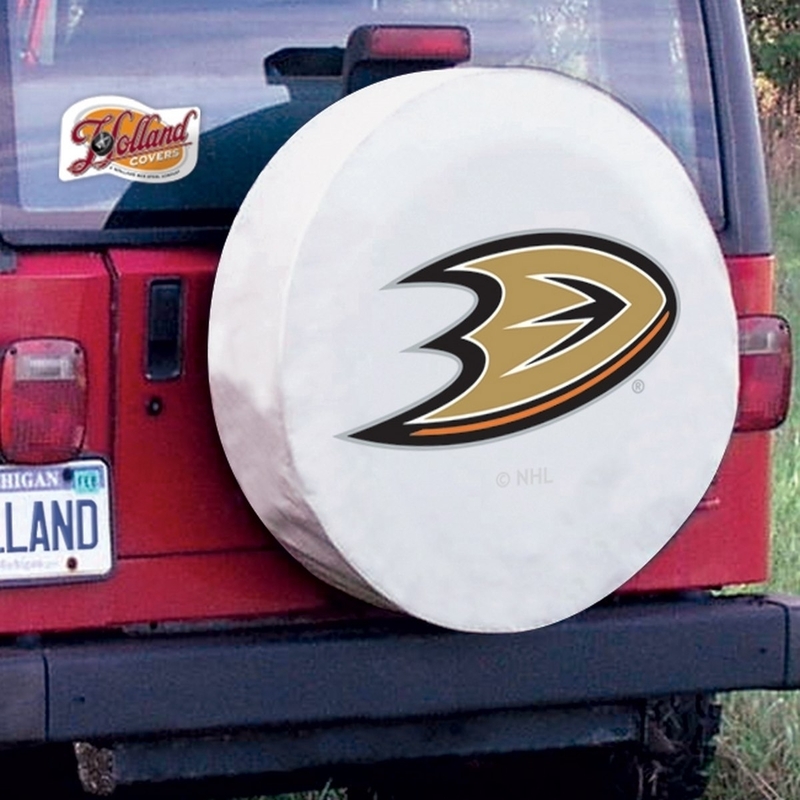 This Anaheim Ducks tire cover from Covers by HBS is hand-made in the USA; using the finest commercial grade vinyl and utilizing a step-by-step screen print process to give you the most detailed logo possible. UV resistant inks are used to ensure exceptional durability to direct sun exposure. These covers are made to order for an exact fit to your specific tire size. This product is Officially Licensed. Support your team in total style with the help of Covers by HBS!"